How can social entrepreneurs ensure success in moving from the startup phase into the growth phase? By committing to a social goal, they have already taken a courageous step. But building a solid foundation for their organization requires a different set of skills. Whether a social enterprise is providing a service or creating and manufacturing a product, entrepreneurs have to ensure that their businesses build capacity to benefit and employ more people. We’ve identified one crucial but often overlooked need among these growing businesses – organizational development. That’s why the empowering people. 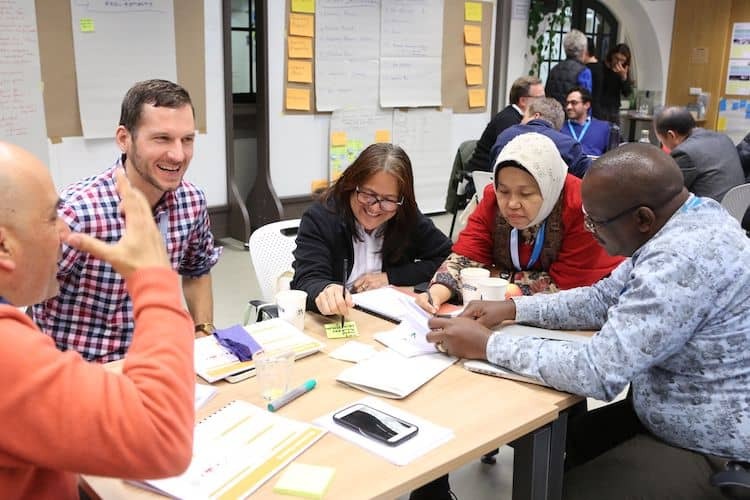 Network, conceived and managed by Siemens Stiftung Foundation, has embarked on the ambitious goal of helping social entrepreneurs to overcome organizational challenges during their growth stage. The network connects inventors and entrepreneurs around the world who have developed simple technical solutions. It helps to expand their social impact through expert knowledge and a range of interactive training formats, including a regular in-person workshop for all members, and individual consulting through an onsite training called empowering people. Onsites. By initiating new forms of collaboration and technology transfer, we support social enterprises and organizations on their way to scale, replicate and expand. The first step in moving from the startup phase to the growth phase for an entrepreneur is preparation. As the startup moves into the growth stage, structures and processes need to be established to ensure the smooth functioning of the organization. But the reality is that many social entrepreneurs don’t know how to accomplish this. The challenges they face in designing these processes may not impact them in the short term, but the organization’s sustained success depends on how it responds to its evolving needs during its growth. Wesley Meier (left) is the founder of agriculture-based startup EOS and was part of the empowering people. Workshop in Amsterdam where he worked with participants from all over the world. Human resources management is often a neglected area in a startup. Many entrepreneurs cannot fathom the importance of defining the roles and responsibilities of people who come to work in their organization. When a startup remains small, projects are of a manageable size and number, and the founder can focus his or her complete attention on them. The real problem arises when tasks and requirements begin to grow. In order to ensure their execution, the business must bring in people with the necessary competencies to fulfill the tasks. As the organization grows, identifying the right people becomes increasingly challenging. Not only must they have the proper skill set, they also need to be familiarized with the organization’s objectives and ways – and they often need to build their skills to accomplish the job entrusted to them. Eventually, they have to be delegated responsibilities and given decision-making power. As their organizations scale up, entrepreneurs often get caught up in a vicious cycle: Their personal workloads increase, yet they’re unable to delegate this work, as they cannot trust their employees’ competencies. Meanwhile, these employees remain less than fully committed to the organization, because they have not been given due responsibility. That’s why it is the job of the social entrepreneur to identify and retain the employees with a high level of commitment and qualification. Process chains have to be built for all divisions, and mechanisms need to be worked out to ensure that the best business decisions are made. Though human resources is one of the most important focus areas for a growing organization, there are many other areas that merit entrepreneurs’ attention. These include several topics that are crucial for the sustainable development of a social enterprise, such as agile development processes, leadership styles, decision-making models, communication strategies and feedback culture. They all work together seamlessly for organizational success. Entrepreneurs also have to dedicate sufficient thought to what happens if they have to leave the organization. Would the structures they’ve created remain stable and the team well-qualified to take the social mission and business forward? 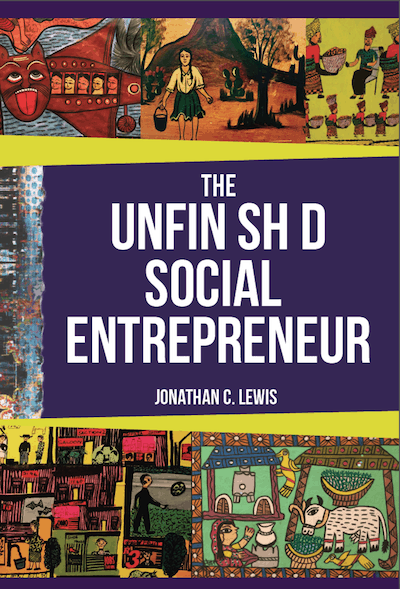 There are many organizational development approaches to these challenges, but specialist books are of little help to a social entrepreneur: The best practices prescribed in them do not necessarily cover the unique and complex demands of balancing social mission and business success, coordinating volunteers across the world, and continually building the workforce. That’s why customized solutions are necessary to take a social startup to the next level. The focus of the empowering people. Network is on alternative holistic solutions, stressing the individual needs of social entrepreneurs – and the agenda is to support them at every stage of development. This approach sets aside best practices in favor of exploring the individual stories and challenges of the entrepreneurs in the network. Entrepreneurs are offered a set of tools, and they can choose the ones that best suit their situation. The objective is not to find a “perfect” solution, but to provide a set of alternatives that entrepreneurs can select and integrate individually for their needs. In association with SEED/adelphi, we have developed a workbook for organizational development. It is available for members and offers excellent options for entrepreneurs to choose the written guides and templates that may be best suited to their organizations’ needs. In addition, we conduct face-to-face workshops for social entrepreneurs on several continents, including Asia and Africa, every year. The workshops feature carefully chosen theoretical content, interactive consultation with colleagues, and self-work on comprehensive worksheets. Moreover, entrepreneurs have the rare opportunity to also share their personal stories and issues, and to work together with organizational development experts on their businesses. In this way, participants can interact with peers and benefit from their experience, and even identify areas of synergy. These tools and sessions share the goal of avoiding the clichéd Western prescriptions common in specialist books, instead showing them opportunities that can be suited to their organizations and adapted to their cultures. We have already achieved tangible success with our organizational development strategy. 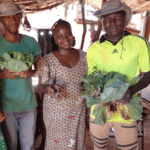 The free Manual for Social Entrepreneurs (SAMforSE), a success evaluation tool to assess the business model of social enterprises and their ecosystems, is already being used by several startups such as Nazava or Traveler. Our workbook for organizational development now allows further capacity progress and has been successfully employed in empowering people. Onsites in India, South Africa and Ghana in 2017, in addition to its extensive application during the in-person workshop in Amsterdam in the same year. In 2018, we are planning organizational development training in several on-site locations in emerging markets around the world. If you want to know more about the empowering people. Network, register for the monthly Network Update. To get involved as a volunteer expert and work with entrepreneurs on-site, find more information about the empowering people. Expert service here. If you are an entrepreneur and would like to improve your organization, have a look at our SAMforSE. This year there will be lots of exciting news, so it’s worth staying tuned. Carola Schwank heads Siemens Stiftung’s empowering people. Network, which helps social entrepreneurs to overcome organizational challenges during their growth stage.